Each time a new Mac desktop operating system updates, a flood of Mac users would rush to download and install the macOS. There is no exception for macOS High Sierra, which has just been released as a free upgrade for users. It features with many significant outward changes or redesigns, from the modernized Apple File System (APFS), support for more efficient photo (HEIF) and video (HEVC) standards, Metal 2 that allows apps to unleash the full power of the GPU, Virtual Reality support etc. But as you try to update to macOS High Sierra, you'll find there are a mess of Mac update stuck problems that stop you from moving on. Many users reported that macOS High Sierra download stuck, High Sierra installation freeze, macOS High Sierra installation stuck on grey/space screen or failed issue when they attempt to get High Sierra upgraded. Concerning such miscellaneous macOS update stuck issues, this article covers a collection of Mac update failed problems and solutions. Lest Mac Update Stuck, Back Up Your Mac Data Now! To prevent the unexpected Mac update problems, you're suggested to back up your Mac files with MacX MediaTrans. Do what iTunes does and doesn't do, never erasing any existing data on your Mac. What Should do Before Upgrading MacOS? Although the every new macOS upgrade comes with certain exciting features, you need to know if your Mac computer can safely be updated (take High Sierra as an example). If you pay no attention to the details, macOS High Sierra update problems come with you for sure, probably your Mac update stuck or Mac failed update won't boot. Here are some of the things that you should look for before you upgrade to the new update. 2.Check minimum software and hardware requirements. You should have OS X Mountain Lion 10.8 or later. It requires at least 2GB of memory and 14.3GB of storage space to perform the High Sierra upgrade. 3.Backup your Mac. To avoid any possible macOS High Sierra update problems, making a backup of your Mac comes essential. You can backup Mac with Time Backup Machine, iCloud, iTunes, or any other third-party Mac backup tools like MacX MediaTrans. 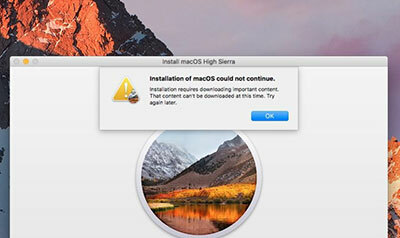 As you attempt to download macOS Sierra or macOS High Sierra installer, you may be noticed that "Installation requires downloading important content. That content can't be downloaded at this time. Try again later. ", or "An error has occurred." It's exceedingly annoying, but there is no way to bypass this step for macOS update. Usually Mac update download failed error is originated that you download the package from somewhere other than Mac App Store or you just downloaded the Beta version. So you need to go to Mac App Store and download the official macOS High Sierra instead to fix it. You know, High Sierra update requires at least 2GB RAM and 14.3GB available storage. So if your Mac computer almost ran out of the storage space, your macOS update stuck at the beginning for sure. To make sure how much space your Mac has left, from the Apple menu, select About This Mac > More Info > Storage. If your Mac update failed definitely owing to the storage space, the only thing you need to do is to free up the space on Mac. Just make it done by uninstalling unused applications and app caches, deleting old devices backups, deleting unnecessary media files from iTunes, emptying trash can, clearing temporary files, compressing large files to smaller size and so on. Comparing macOS Sierra and High Sierra, cannot verify firmware error is the mainly reported macOS High Sierra update problems. Many users said as they try to update to High Sierra, the installer noticed that there is an error checking the firmware. Actually, it turns out to be a corrupted EFI partition. It's an MS-DOS formatted little slice that's needed when updating the computer firmware. You can boot into rescue mode, checked the partitions with "diskutil list" and "verifydisk" (terminal), and fixed the EFI partition "diskutil repairdisk (your EFI disk/partition) ". It's not always a gray screen, as strange as that may sound. The "gray screen" problem can also manifest itself as a black screen, space screen with Apple logo, a spinning gear, a spinning globe, or a prohibitory sign. 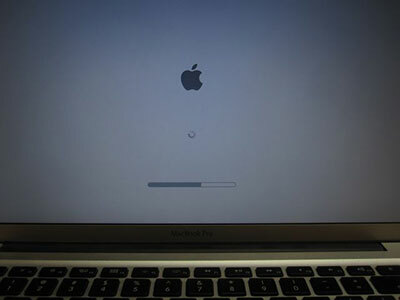 Mac update stuck on gray screen problem can occue right after you start or restart your Mac. It may be caused by a bad peripheral or peripheral cable, RAM issue, Drive issue or whatever. Before you start to fix the macOS update stuck on gray screen problem, you need make sure what's the cause. Then you can disconnect all external peripherals, remove all but the minimum amount of RAM from your Mac, use Single-User mode to repair a Startup Drive. I think the problem will be fixed. After you have fixed the macOS High Sierra update stuck problem, you can enjoy the salient new features of High Sierra. But at the same time, some new troubles might trouble you as well, such as like Mac running slow, some apps get damaged or cannot be opened, Safari crashed, Mac gets overheated, or the High Sierra keeps logging you out etc. 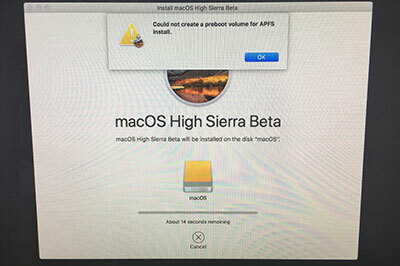 So think twice before you upgrade to macOS High Sierra, and if you encounter any High Sierra update problems, pick the macOS High Sierra update problems and fixes as a reference. Make A Backup of Your Mac with MacX MediaTrans! 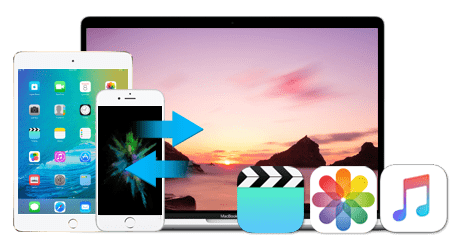 MacX MediaTrans, an awesome data transfer tool between Mac and iOS, allowing you to transfer significant Mac files, like video, 4k photos, music files, videos, ringtone etc. so as to make a backup of Mac data and free up more space on MacBook Pro/Air, iMac etc.